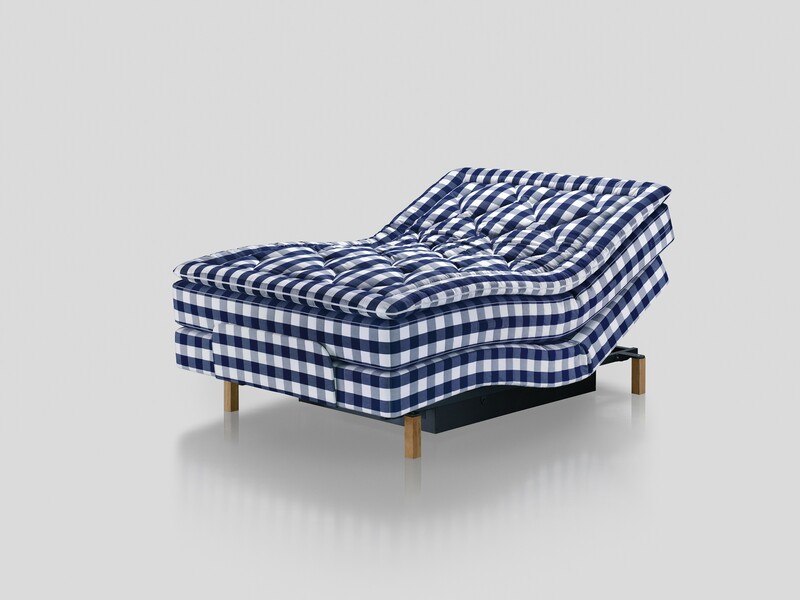 Modernism exudes throughout the adjustable Hästens Novoria bed. Handcrafted with the same level of softness, support, and pliability as the continental range of Hästens beds, the Novoria stands out with its effortless adjustability and the astute attention to subtle details like the elaborate mattress piping. 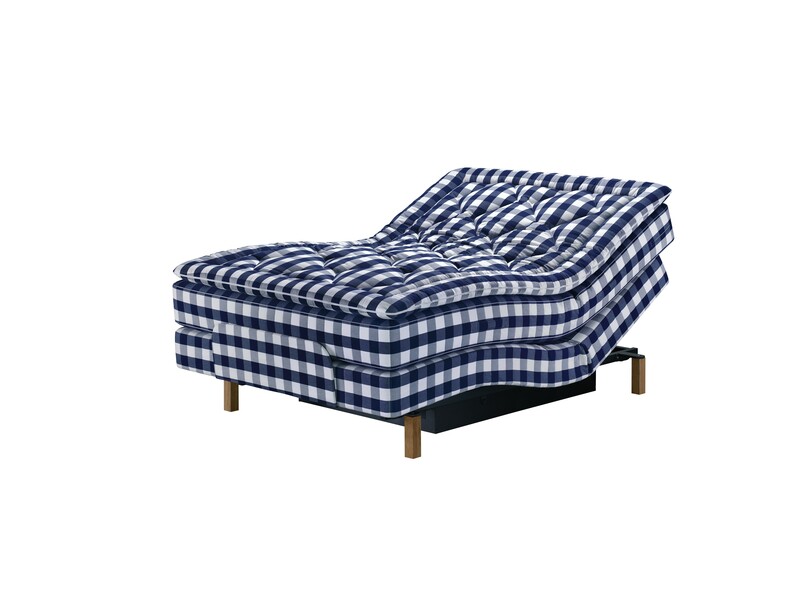 Collectively, these qualities create a synthesis of firmness that’s slightly above that of the Lenoria, Hästens other adjustable bed. Hästens Novoria uses all-natural horsehair, cotton, wool, and flax to create rich, breathable layers for maximum pliability and static reduction. 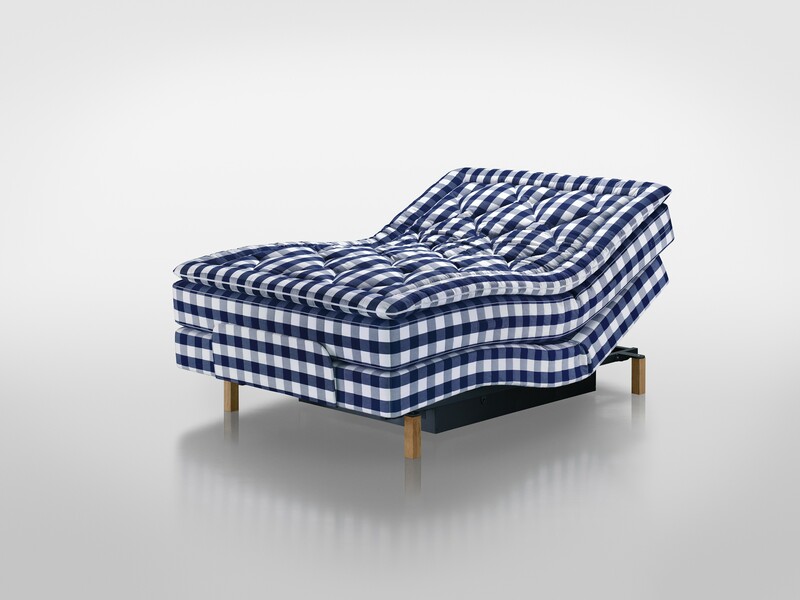 Together, these materials not only create a supremely comfortable bed, they also allow you to change positions with virtually no disturbance, practically guaranteeing your partner sleeps undisturbed. 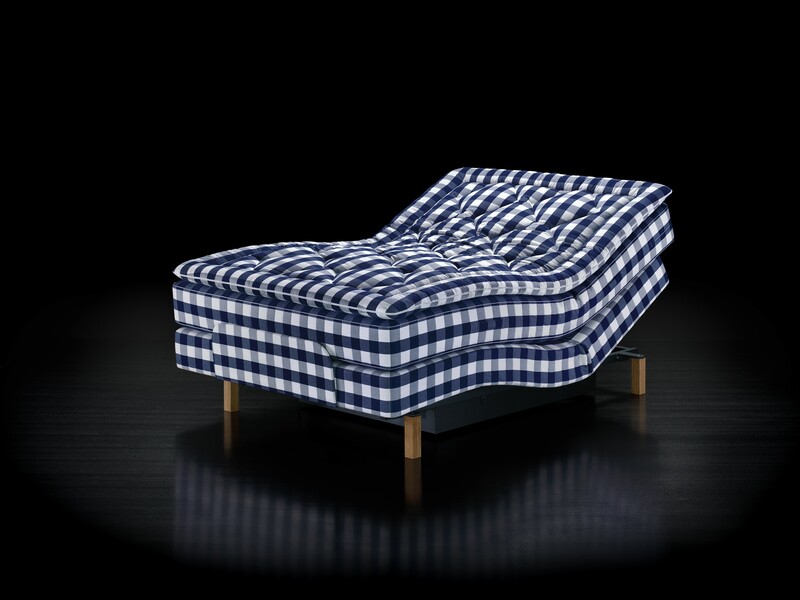 A pair of spring systems in the Hästens Novoria create an optimum level of support to help align the body during sleep. 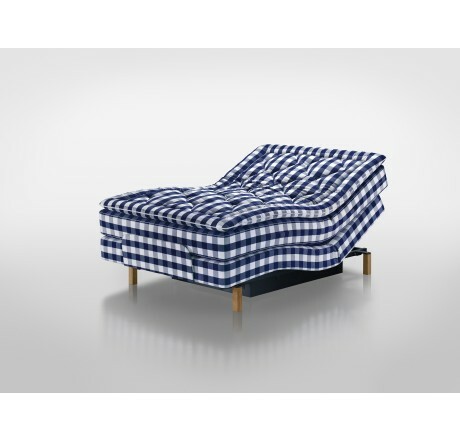 These springs also provide a reliable hold for the body when the bed is in an upright position. A wireless remote lets you easily adjust the Hästens Novoria to your preferred position. Its motors are also environmentally friendly and EcoDesign Directive certified, using a mere half watt of power on standby. Best of all, the Novoria allows you the option to bespoke, an ideal feature if you and your partner prefer different levels of support.